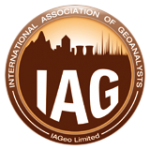 A number of microanalytical reference materials are available for purchase from IAGeo Limited, most of which are from our collaboration with the Mineralogical and Geological Museum, Harvard University. A single aliquot consists of approximately 100 mg of material. This single crystal has been widely used for U-Th-Pb geochronology and δ18O studies and it has also been characterized for trace element and Hf-isotope contents. In the early 1990s a number of Harvard materials were characterized for use as RMs specifically for the analysis of oxygen concentration as determined by electron microprobe. These are described in McGuire et al. (1992). In the early 2000s a suite of mineral phases was characterized for their light element contents and isotopic compositions. These are described in Dyar et al. (2001) and Leeman et al. (2001). There are additional materials from the Harvard Mineralogical and Geological Museum’s collection which are also available. These materials are currently being studied by the IAG to increase their utility as microanalytical reference materials. McGuire, A.V., Francis, C.A., Dyar, M.D. (1992) Mineral standards for electron microprobe analysis of oxygen. American Mineralogist, 77, 1087-1091. Dyar, M.D., Wiedenbeck, M., Robertson, D., Cross, L.R., Delaney, J.S., Ferguson, K., Francis, C.A., Grew, E.S., Guidotti, C.V., Hervig, R.L., Hughes, J.M., Husler, J., Leeman, W., McGuire, A.V., Rhede, D., Rothe, H., Paul, R.L., Richards, I., Yates, M. (2001) Reference minerals for microanalysis of light elements. Geostandards Newsletter, 25, 441-463. Leeman, W.P., Tonarini, S. (2001) Boron isotopic analysis of proposed borosilicate mineral reference samples. Geostandards Newsletter, 25, 399-403.